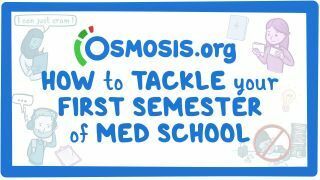 Osmosis: Clinician's Corner: How to tackle your first semester of med school. (2019, April 20). Retrieved from (https://www.osmosis.org/learn/Clinician's_Corner:_How_to_tackle_your_first_semester_of_med_school).